Buying Australia SIM cards in Australia is easy for travelers, but beware of per call connection charges of some SIM cards. Visitors who come to Australia for a holiday and purchase a prepaid SIM card will need registration. You require your passport for registration. 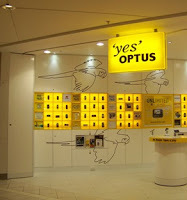 Australian SIM Cards can be obtained from phone shops at most airports such as Melbourne airport, Optus is located in T2 Arrivals, ground level, whereas at Sydney airport Vodafone kiosk is located at T1 International (Arrivals) near exit A. Australian SIM Cards can also be obtained from a supermarket and online from mobile network provider’s website. Try to get your SIM card in a branded store of the provider at airports where you pay the original price. If you buy a sim with a pre-paid credit limit, you can recharge online or buy recharge cards for the main telco’s sims at any supermarket or post office and at most service stations. Check the smaller telcos’ websites for recharge retailers. Recharging on-line is an easy option. There are three mobile network operators in Australia, Telstra , Optus and Vodafone. However, a number of MNVOs are working in which are shown in the table. SlimTel customers can choose to be connected to either the Optus or Vodafone network. Think Mobile Classic customers connect through the Telstra network and Think Mobile Swift customers connect through the Vodafone network. A security deposit is kept (and topped up if it falls below a predefined level) for all cap plans and pay-as-you-go plans. Southern Phone customers can choose to be connected to either the Optus or Telstra network. Virgin Mobile (Australia) is a fully owned subsidiary of Optus. Commander, ClubTelco, Dodo and iPrimus are subsidiaries of M2 Group. iiNet and Internode are subsidiaries of TPG Telecom. Live Connected is a subsidiary of Vaya Mobile. Woolworths Mobile was relaunched in 2015 as Woolworths Connect. Yomojo acquired all Yatango Mobile customers on 25 November 2015. A connection fee of $0.23 applies. UNLIMITED * Check product website for current status of this offer. Please top up AUD 40 to the SIM card to get above packs. Please top up AUD 20 to the SIM card to get above packs. Of course if you would rather buy the SIM before travel so that you do not have to go hunting, or would like to know your number before you travel, or want a sim that works in multiple countries, we have an Australia SIM card!